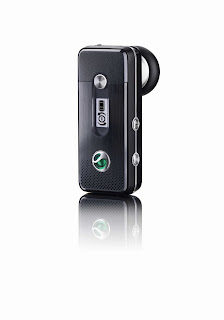 The Sony Ericsson HBH-PV740 is the more high end amongst Sony Ericsson's recently introduced line of Bluetooth headsets. Designed for the business users, the Sony Ericsson HBH-PV740 has two carrying solutions, a headset desk stand and a USB charger. The Sony Ericsson HBH-PV740 has a rated talk time of 11 hours and a standby time of 800 hours. Other features of the Sony Ericsson HBH-PV740 include: status display, removble ear hooks, auto pairing, DSP, and Bluetooth 2.0 with EDR. Availability is expected to be in the 4th quarter of 2008, selected markets only.